When it comes to wedding roles, there’s a common misconception that the groomsmen just plan the stag do and turn up on the big day. However, in reality there’s quite a lot of jobs and tasks for the groomsmen to carry out in this fun role – all of which will help the day go smoothly and be stress free. 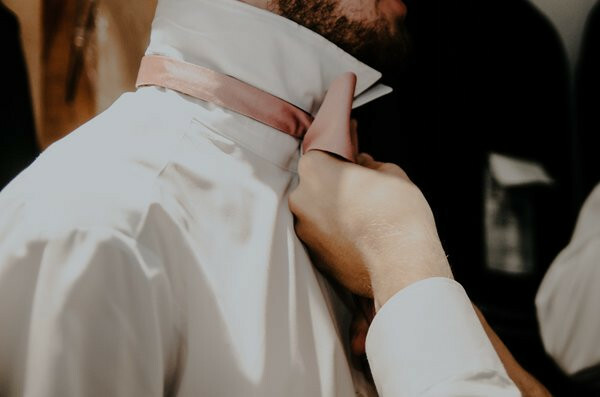 Luckily for any prospective groomsmen we’ve done our research and compiled a list of some of the most important responsibilities for those within this role. Firstly, one of the main responsibilities of the groomsmen is to be a source of advice and support for the groom. As fun and exciting getting married is, it can also be a daunting time with the stresses of wedding planning. So, the groomsmen play a vital role in keeping the groom calm and collected to make sure everything goes according to plan. Traditionally the best man and the groomsmen rent their own tux unless the couple choose to pay for them. Luckily, most groomsmen rent their suits which makes them considerably cheaper than bridesmaid dresses! However, the groomsmen still need to follow the preferences of the couple and wear the suit or outfit of their choice. From engagement parties, to suit fittings, to rehearsal dinners, and to the big day, the groomsmen have to be there! So, if you’re a soon to be groomsman remember communication is vital to stay organised, in the loop, and involved! Helping to plan the stag do is a key responsibility of the groomsmen. Traditionally, the best man will do most of the organising but it’s up to the groomsmen to make sure every detail goes to plan. This may mean finalising bookings, sourcing stag uniforms (such as cheeky t-shirts), or coming up with some fun activities for the event! The groomsmen will be expected to help the couple with any errands or bits and pieces that they may need help with. Picking up the suits, helping to set up, and decorating the car are all jobs traditionally carried out by the groomsmen. Traditionally, unless the bride and groom have made arrangements for them, groomsmen are expected to organise their own transport and accommodation. Try to do this quite far in advance to make sure you’re organised for the big day and don’t have too large of a commute to the wedding or the groom as, after all, there will probably be a strict schedule to meet! On the day, the groomsmen are expected to get ready with the groom and assist in any of the last-minute details. This is a great opportunity to help calm any last-minute nerves of the groom as well as get some photographs before the ceremony begins. As the big day commences the groomsmen will be expected to help welcome guests at the ceremony and at the reception. Helping to make everyone feel welcome, providing information and directions on where to go, and helping to carry and move gifts are all tasks that come with being a groomsman. After the wedding breakfast, the speeches will commence! Traditionally, only the best man out of the groomsmen will make a speech. However, if the couple are keen to break away from tradition and would like extra speeches then definitely go ahead and help the couple celebrate their big day by saying a few words to congratulate them! Although not a traditional feature of weddings, there is a growing trend of groomsmen making sure they have a dance with one of the bridesmaids. This dance usually falls in sequence after the couple, the parents of the couple, and the best man and maid of honour. Finally, as the wedding day comes to a close the groomsmen will quite often be expected to help tidy up and organise any bits and bobs that didn’t come with the venue. Likewise, the groomsmen may be asked to look after any gifts (unless someone else has been instructed to) if the couple choose to go straight onto their honeymoon. And last but certainly not least, the final (and, as always, most important) role of the groomsmen is to have fun! Help keep everything organised and the groom calm whilst simultaneously enjoying this exciting time in your friend’s life. At the end of the day a wedding is supposed to be a joyous occasion, so make the most of this special time!